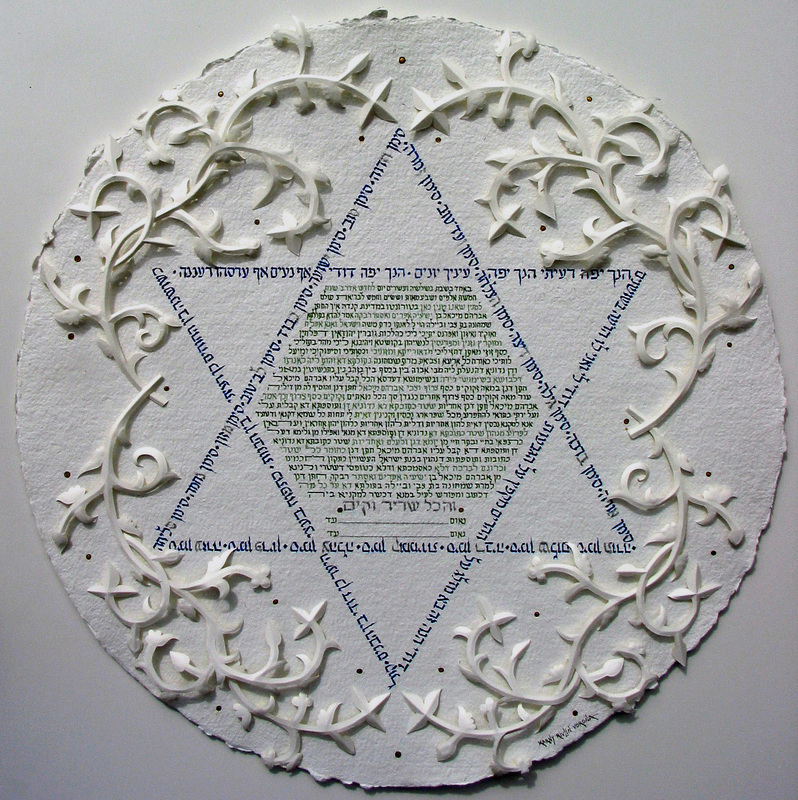 This Orthodox text Ketubah is written in three shades of green in contrast to the blue Star of David. The Star of David is "constructed" with two triangles. One triangle is with verses from "Song of Songs", and the other has traditional blessings to the couple in Hebrew alphabetical order. The illumination is done with Paper-Sculpture technique, white on white, and the cast shadows complete the beautiful effect.